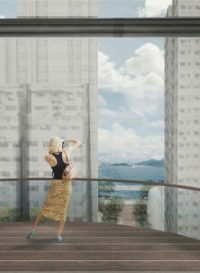 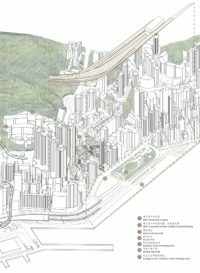 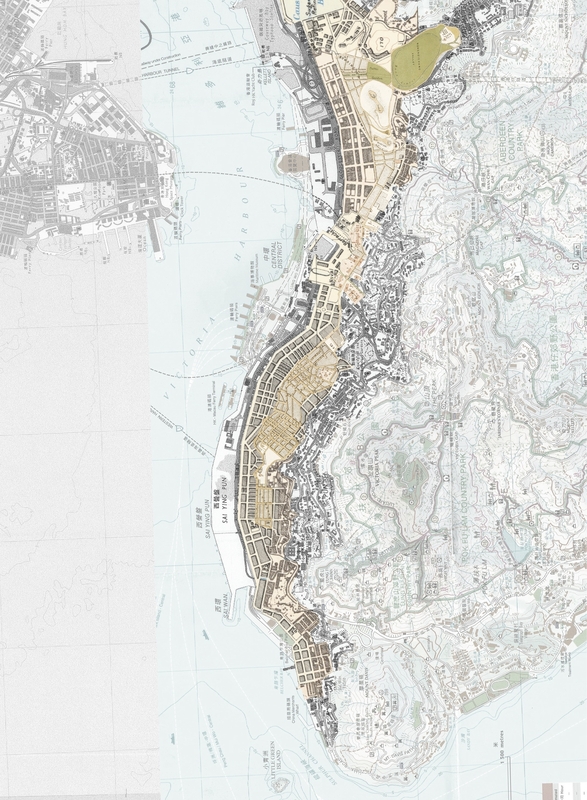 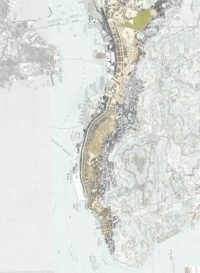 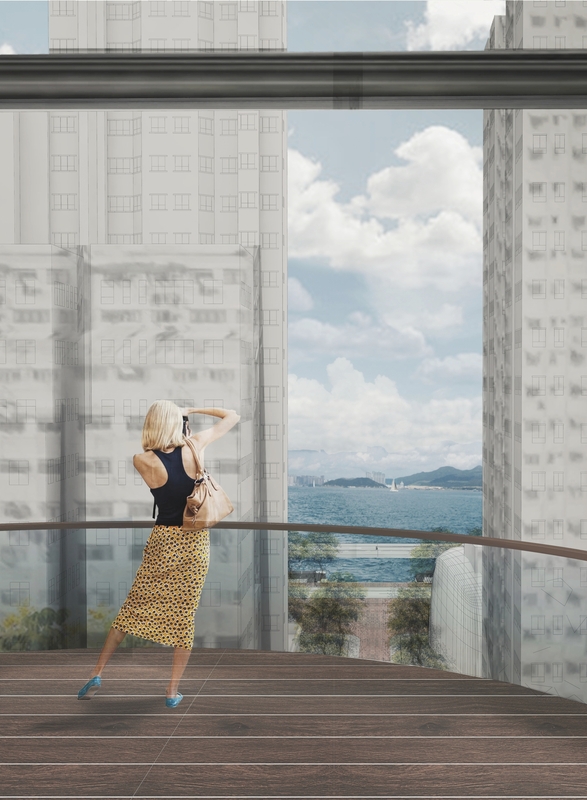 Since the British governance, the development of Hong Kong has been hugely dependent on land reclamation and the flattening of the hills. 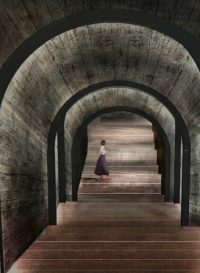 During later stages of expansion, the couple has created heavy transportation structures at the northern waterfront; and a series of retaining walls and man-made slopes at the southern hills. 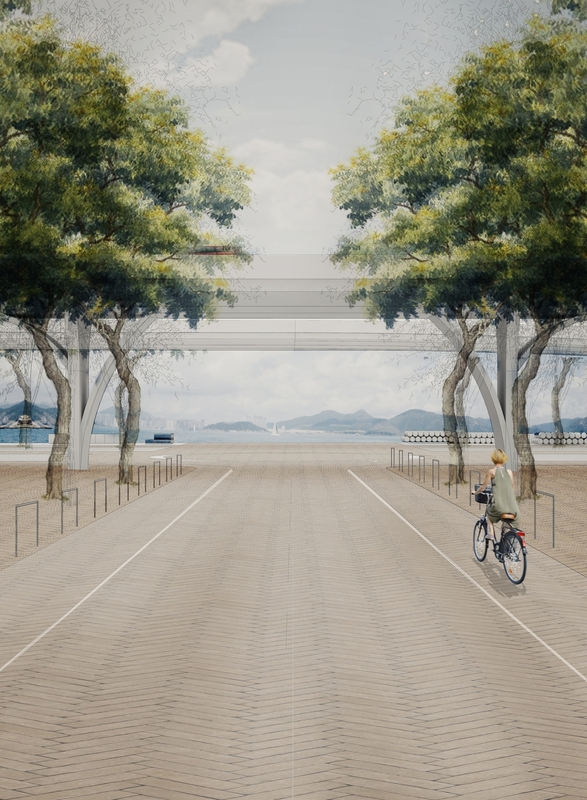 Like Invisible Walls, they concentrate activities as transversal slices and constraint pedestrian movement to perforate axially across. 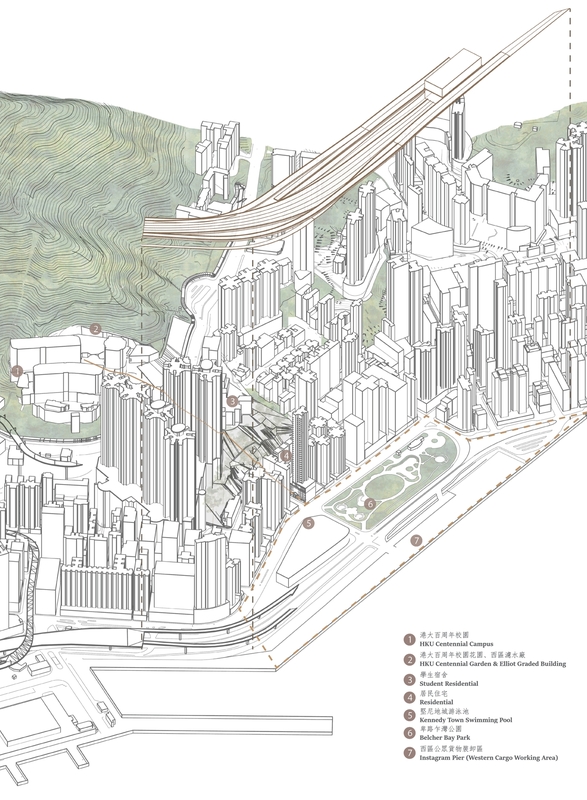 The original intimate relationship between the city and the nature diminishes. 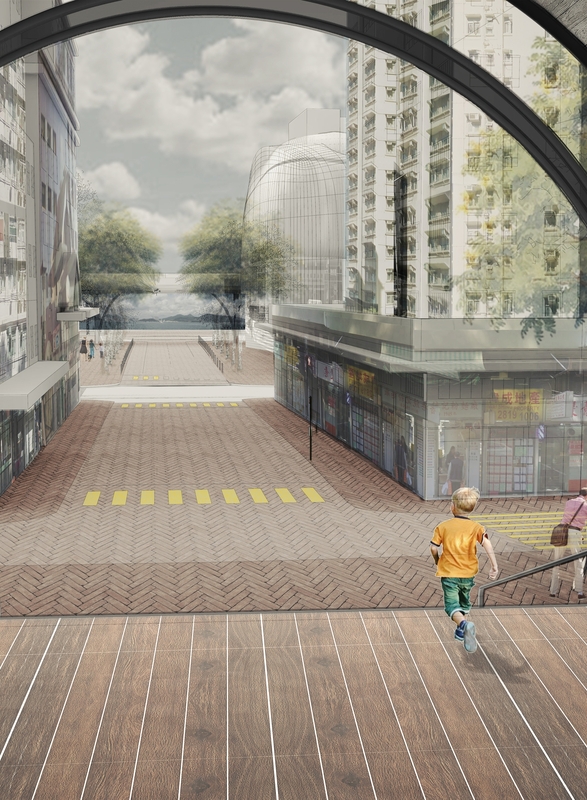 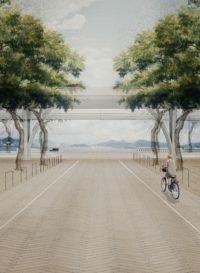 The thesis criticizes the elevated system- the current mediation strategy- as a knee-jerk and afterthought sequelae to transit-centric planning strategy after industrialization, of which the experience of walking was depreciated under the popularization of cars without experiencing an actual relationship with the street and the historical landscape. 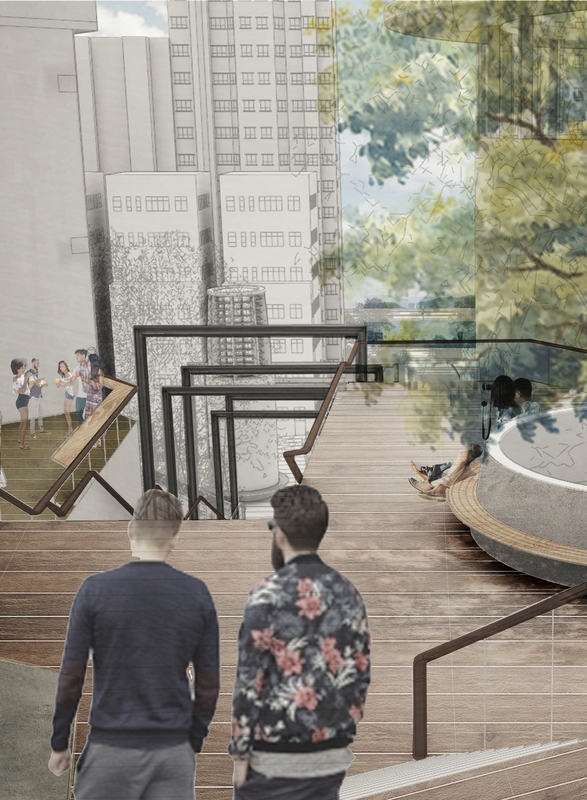 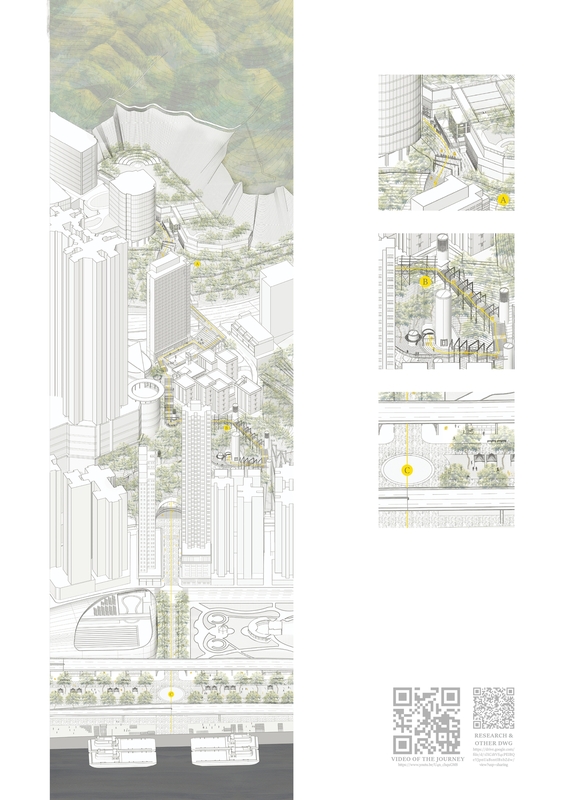 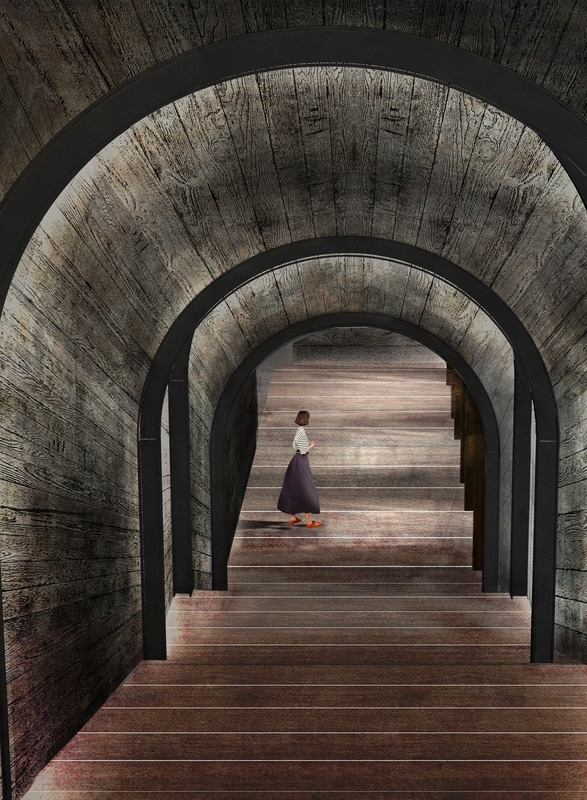 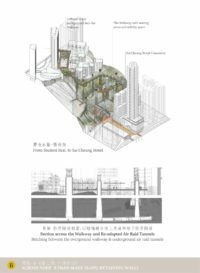 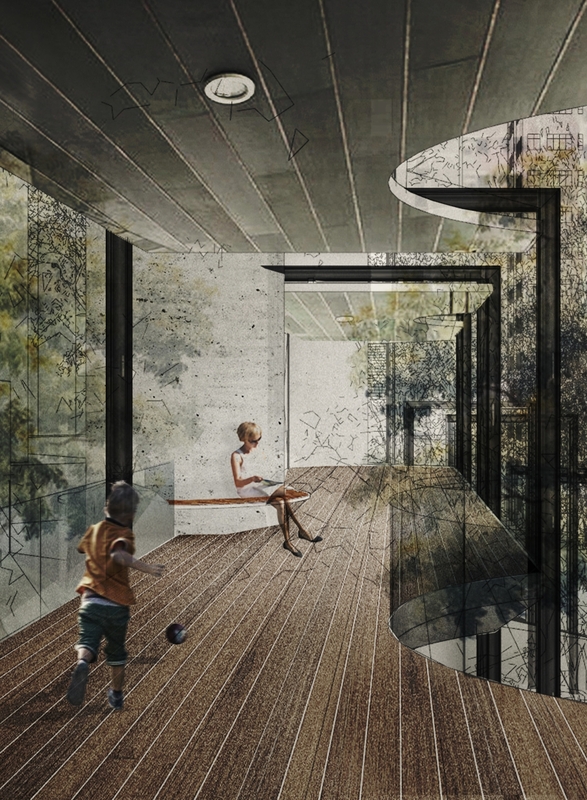 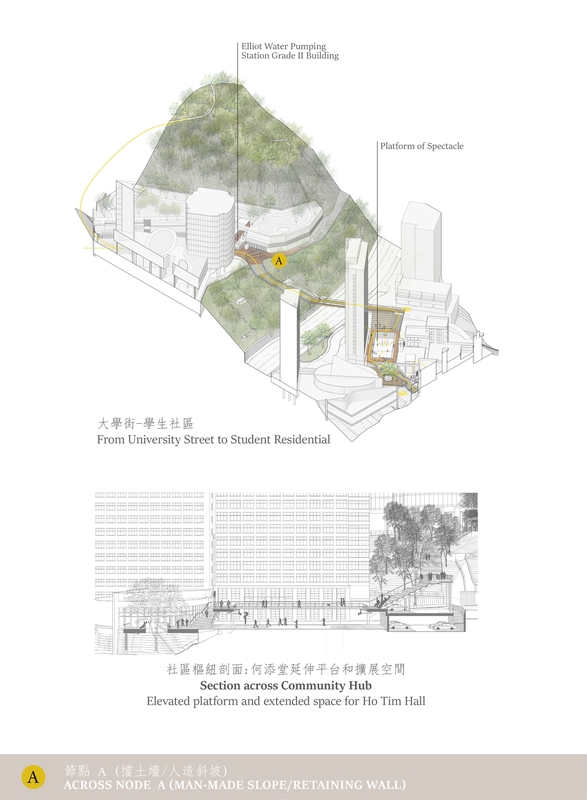 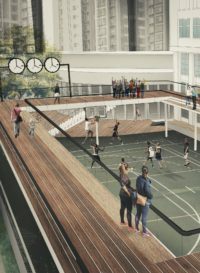 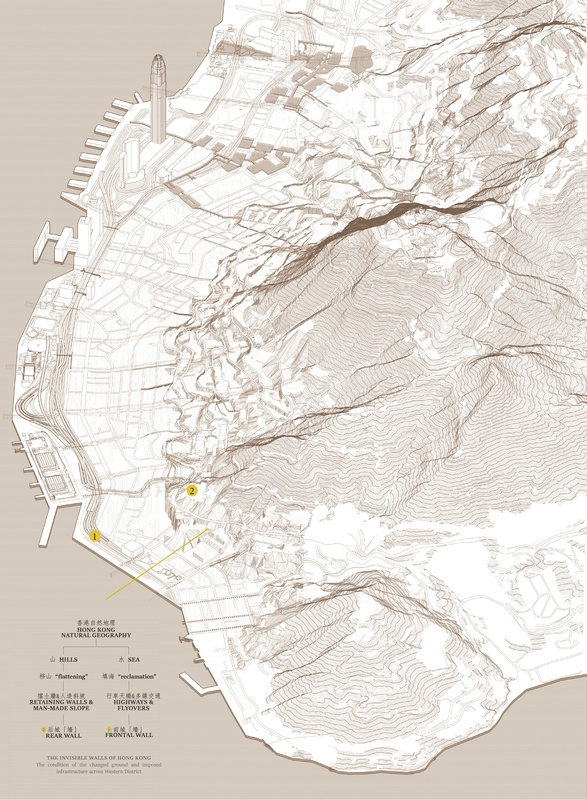 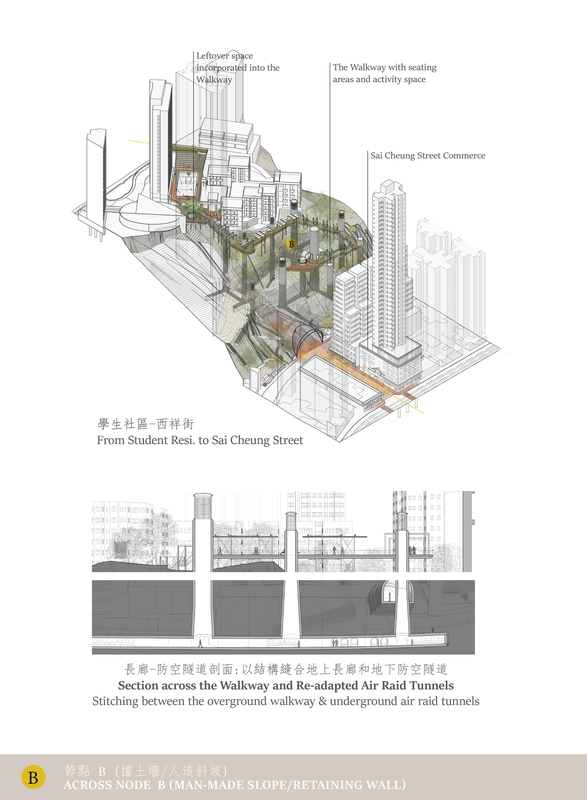 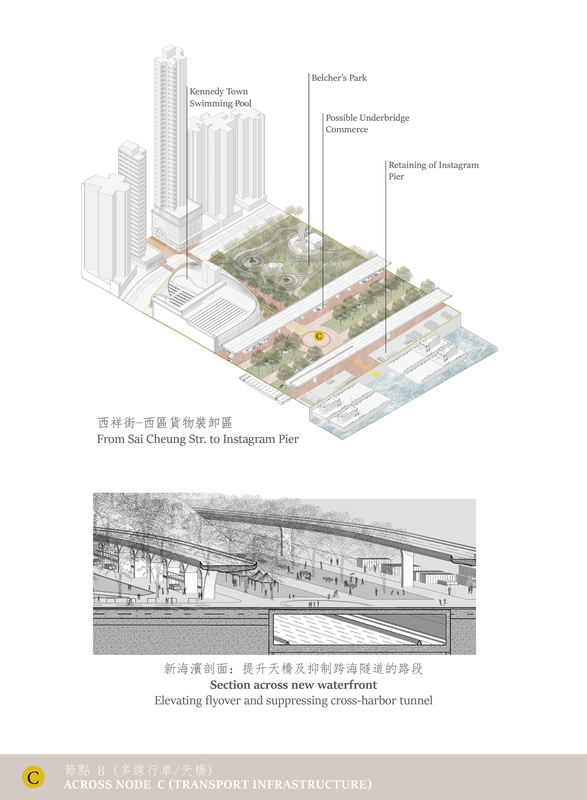 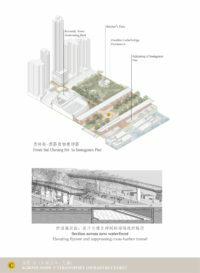 The thesis aims to respond to the fragmentation arise and re-establish an active axial relationship between the Hill, the City and Water in the Western District. 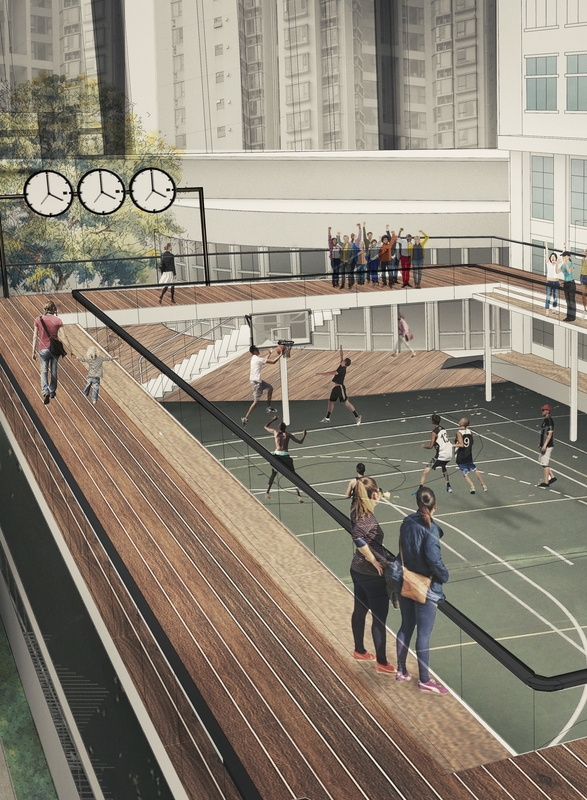 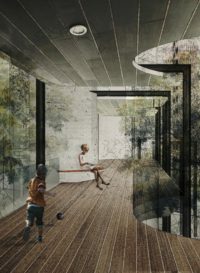 By unraveling layers of historical transformations and instilling site-specific interventions at/with the Invisible Walls, it intends to establish a minimal form of connectivity that relates events, facilitates the experience of flâneur and accentuate the potential of neighborhoods without over-damaging the essence of place.